Mindfulness or being in the moment, Non Judgement, Patience, Awareness, Tolerance, Acceptance, Compassion, Validation, Invitation and Practice. I know very little about Zen so I hope all those that do will forgive me in this if it is completely wrong but for me it linked closely with the Art of Zentangles which I discovered when searching for information on mandalas. A Zentangle is an abstract drawing in a 3.5cm square ’tile’ of paper. It should be without orientation and so have no right way up. It should be black ink on white paper and so involve no special tools. Finally Zentangles should be portable so they can be done anywhere, anytime. 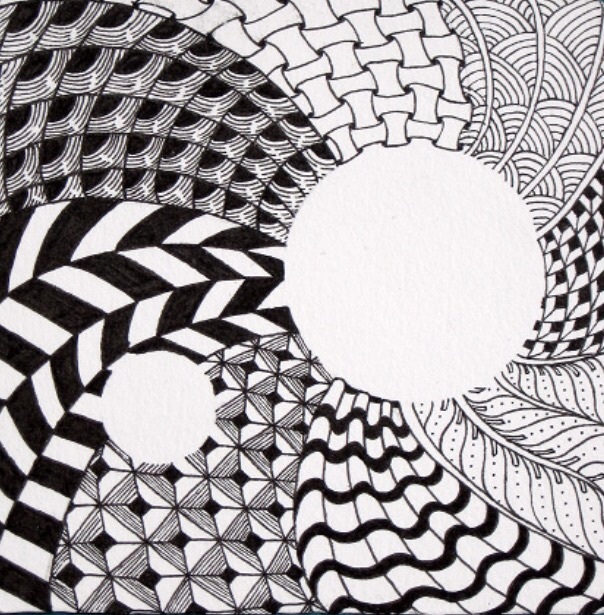 Creating a Zentangle requires absolute focus and can even be thought of as a form of ceremony. Zentangles are unplanned, allowing the end result to reveal itself rather than starting with an idea or goal. They are deliberate, yet unexpected with each stroke allowed to find its own form. The creation of a Zentangle is celebratory, like a meditation it is both freeing and healing. They are also timeless and connected to all human endeavour of putting pen to paper. On discovering Zentangles I cut up paper to make tiles and sat down to produce one. As I did I discovered why the word Zen is part of the name for increasing one I found I was unable to do so without practicing at least some of the principles of Zen. As I sat with my piece of paper and began to make marks I could only be in the moment as it required me to be still and focus totally on what I was doing. As I worked I became calm and relaxed, completely aware of every mark I was making on the paper, the way the pen moved, the way the mark connected with those around it and determined what came next. I was tolerant of myself and my lack of knowledge for this didn’t matter, not did any drawing ability I may or may not have for this was solely about the process of creating. I found compassion for myself in that space for I could be no way but the way I was and create nothing except that which wished to be created. And above all else it took patience for to rush a Zentangle is to completely miss the point. When I was much younger it was all the rage to have tiny kits to make Zen gardens. Small spaces that had perhaps one carefully placed stone around which fine sand was moved into pleasing patterns with a tiny rake. The drawing of the rake through the stones produced the same feeling of calmness, of being in the moment as drawing Zentangles can. There are complicated grids, patterns and rules that I believe can be applied to Zentangles but I have no interest in these. As an aid to mindfulness and to being still though I can highly recommend the art of Zentangles. I feel I should say something here to mark the fact that I’ve just passed the 200th follower of my blog (pause for a small celebration here :)) 200 might not sound much but to me it’s huge. I began my blog in the depths of February last with no idea if anyone would read it or not. It started as a place for me to ‘talk out loud’ as it were and a place where I could share the connections in the Web of Life to help those working with my book. Then I discovered the Pagan Blog Project which has kept me on the straight and narrow regarding my blog and made sure I posted at least once a week this year. I am beyond grateful for this as without it I am sure at times I would have lapsed. During this time though I have discovered that I really enjoy writing to you all and am delighted that you all seem to enjoy reading what I write. So as we come to the end of 2014 a big THANK YOU to everyone for reading Solitary Path. The Pagan Blog Project comes to an end in two weeks so next year will bring something different I hope. I also hope that you will all stay with me and that I will still be ‘chatting’ with you in 2015. Following on from last week’s search for something beginning with ‘X’, this week’s endeavour has lead me to discover Xylotherapy. Search as I might though I could find little about how to practice Xylotherapy other than that the practice was to lay circles of the appropriate wood on the person and that any beneficial effects were considered to be in the mind. Thinking about it though it is perfectly possible to understand how wood might have been, and can still be considered a tool for healing. For instance if we look at the properties of a few common woods we can find that many of them have healing properties associated with them. Apple for example is associated with fertility and is thought to be helpful for nausea, toothache, fluid retention and digestive disorders. Ash is said to help digestion and weight loss. Beech is used for stomach problems, healing wounds and for sores and ulcers. Elder is thought to help asthma, fevers and the healing of fractures. And Pine may be used for chest, throat and lung infections, circulations and fevers. Whereas in Xylotherapy wood may have been laid on the body, today we are more likely to use essential oils made from woods such as pine and eucalyptus for example. In some cultures and forms of healing, poultices may also be made from the bark of woods, or the sap of the tree used. So although we may not call it Xylotherapy healing with wood is still practiced today. 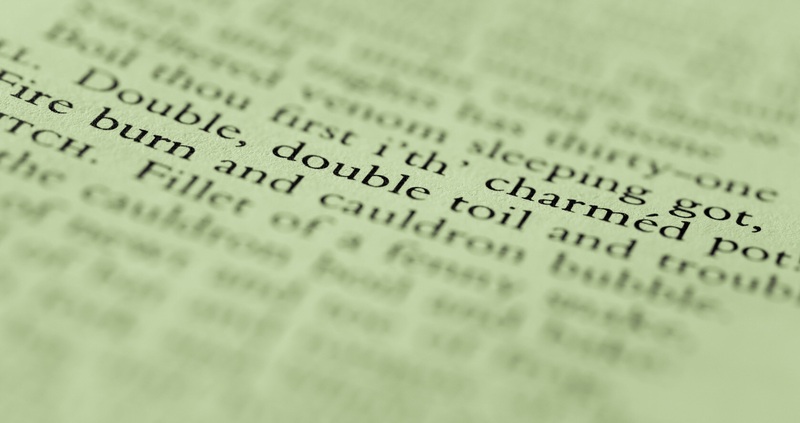 I know that is was not necessary to find a blog post for ‘X’ but I love discovering new terminology so decided to take the letter X as a challenge and in doing so I discovered Xylomancy. Xylomancy it seems is the art of divination using wood. Now divination is a subject close to my heart as it plays a large role in shamanism. There are of course many ways of divining such as through the use of cards, stones, cloud formations, runes, shamanic journeying and so on, the list is long. Wood though is a new one on me. 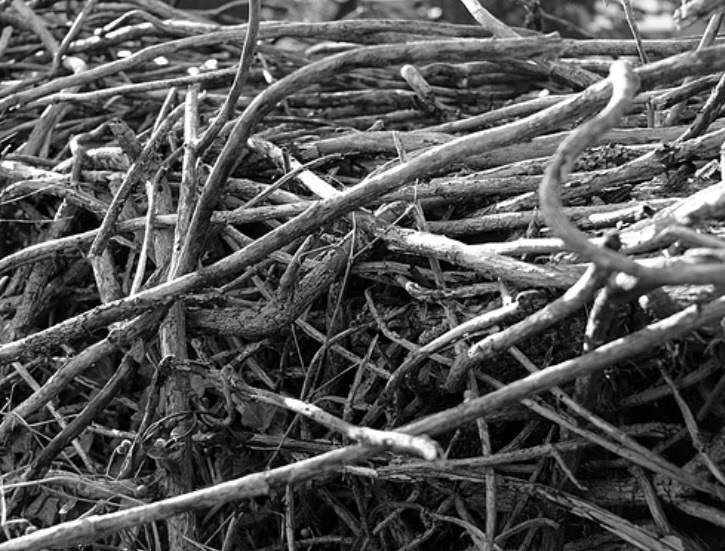 Derived from the Greek words xylo, meaning wood and manteia, meaning divination, Xylomancy is divination of past, present or future, using twigs, pieces of wood or the fallen branches of trees. Like in all forms of divination where artifacts are used, in Xylomancy attention is paid to the location, overall formation and patterns made by the wood, as well as the size, shape and colour of each piece. In ancient times attention was paid to the formation and patterns of pieces or wood found in a persons path, these were then interpreted by seers and soothsayers. Later on the practice evolved so that pieces of naturally fallen wood were stripped of half of their bark and then scattered on the ground. The formations of those pieces which fell stripped side uppermost were then interpreted by those able to do so. 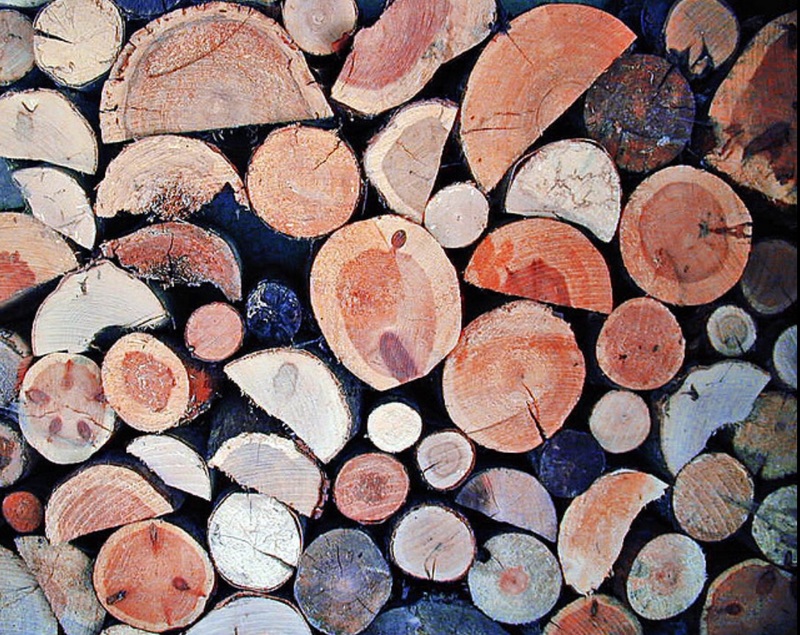 Another form of Xylomancy is to interpret the appearance of wood when it is burning. Like all forms of divination, the secret it seems is to be able to interpret what is being shown to you. A few years ago, when working with Hummingbird, it showed me the threads of the web in which we are interwoven, interconnected, all part of the whole. On this occasion, and at times since then, these were shown to me as fine fibres of green light, like lasers and it was explained that to connect to anything and any time within the web all I had to do is to reach out my hand and touch the right connection. Hummingbird also explained how we walk through these threads every minute of every day without being aware of them. Now just for a moment imagine yourself early in the morning, overnight the spiders have been busy spinning and weaving, the garden, the path you walk down, the doorway you step through, are full of stunning, intricate webs. Take your time to have a good look at them wondering at the creativity of those who wove them. Now imagine yourself walking through these webs. Even when if you fail to notice these wonders of nature they will let you know they are there, clinging to you, sticking in your hair, against your skin or your clothes so you cannot fail to notice what you have done. If only the web of life, the web that connects each and every one of us, to everything that exists, the web of which we are an intricate part, could do the same. If only as we moved through life we could see the myriad of connections we brush against, walk through, pass by every minute of every day. 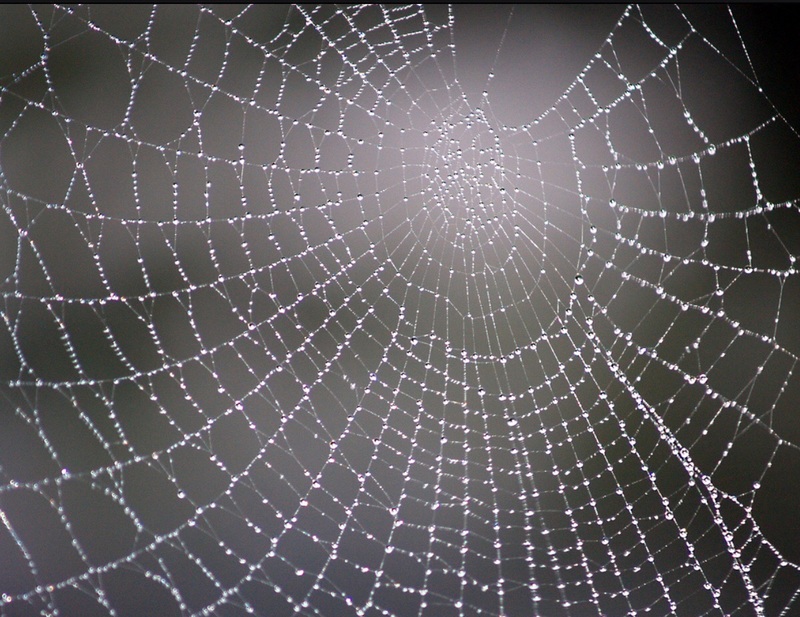 If only these threads clung to us and made us pay attention in the way that the spider’s web does. What would we be aware of, what would we learn if it was so. Perhaps we would be fully aware of the resonance of the actions of anything, including ourselves, within the web. Perhaps we would have a greater respect for the way in which different aspects of the web impact on us, sometimes supporting or helping us, sometimes showing us the way and of course of how we impact on the world around us. Perhaps we would know the ability we have to tap into the universal consciousness or speak with anything or anyone at any time. Perhaps we would also tread more lightly and with greater awareness as we moved through our lives. As a child I was fascinated with the idea of spells but I have always avoided them for for reasons that completely escaped me. Sure, in my work there are aspects that could be described by some as magic, but actual spell work….No! Why I always avoided spell work in any form puzzled me until I read ‘Wicked Business’ by Janet Evanovich. Whilst not a particularly good book I loved it because as I read it, slowly but surely, I began to understand why spells and I do not mix under any circumstances. In the book a young female character, called Glo, visits a local shop and if I remember correctly, returns with a book of spells. Needless to say that nothing goes right, Glo is not a witch, she does not have any experience in any way nor anyone to teach her. As she experiments, ingredients are improvised through lack of the exact one specified in the book, things go wrong and this was where it hit me…. When I cook I usually begin with a recipe. My tried and tested method is to choose what to cook by looking through cook books, or online, to find something that sounds or looks nice. I then look through the ingredients and if I don’t have exactly what it says I decide what to substitute or to miss out completely. When asked what’s for tea the most common answer is…. And this is exactly what would happen if I did spell work. I wouldn’t have the right herb, colour candle, colour ribbon, incense or whatever was needed so I would use what I thought was ‘near enough’ or I would leave it our completely. In other words I would experiment and see what happened. Whilst I realise that there is a degree of flexibility in spell work, I also realise that experimenting to the extent that I do, would not really be safe. Be very glad that it was shamanism that became my path and not Wicca. For that the world is a much, much safer place.